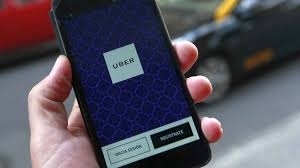 Six campaign volunteers who were talking politics while sharing an Uber in Raleigh, North Carolina were abandoned when the driver realized they were Republicans, reports say. “Welcome to the resistance,” the driver said after ditching the group about 10 minutes from their destination, according to a July 16 report by The Daily Caller. “It was clear based on our mild conservative political talk that the driver realized we were Republicans,” Russell, who ordered the Uber, told The Daily Caller. Russell said Uber sent her a message saying the group was inappropriate toward the driver. “The group of riders was not engaged in rude or inappropriate conversation throughout the course of the ride,” Chris Godbey, the executive director of the Young Republicans National Federation, said. The group discussed “current politics, energy policy and previous Republican campaign experience,” Godbey told the Raleigh News & Observer. Godbey said he tweeted at Uber support and Uber’s CEO, Dara Khosrowshahi, and asked “Is this listening to your customers?” He said Uber offered to refund the ride and would ensure the driver isn’t paired up with those passengers again, but Godbey said he doesn’t think that’s good enough. “I think that this doesn’t come close to addressing the issue of safety and security that is implied in the contract when using their services,” he said. The News & Observer noted that Uber’s policies for terminating a ride include damaging drivers’ or other passengers’ property, physical contact with drivers or fellow riders, unwanted contact after a trip, breaking local laws while using Uber and inappropriate and abusive language or gestures. Godbey and Russell said no inappropriate or abusive language was used or offensive gestures made during their ride. After hearing about the incident, Rep. Mark Meadows, North Carolina Republican, tweeted an offer of a $100 gift card for the group of volunteers – for the Lyft ride sharing service.